Seven films in, the DC Extended Universe is finally flying with some wind behind its back. The well-reviewed, relatively modestly budgeted ‘Shazam!’ debuted with $53.5 million (Dh196.47 million) in US ticket sales over the weekend, according to studio estimates Sunday, handing DC its latest critical and box office success. Though one of the oldest characters in DC’s superhero stable, ‘Shazam!’ doesn’t boast the name-recognition of Batman or Superman. But by scaling back to a $100 million budget and going for the lighter, comic tone, ‘Shazam!’ steadily built up its word of mouth with stellar reviews. Warner Bros also showed the film nationwide two weeks before opening, where it made $3 million in advance screenings. ‘Shazam!’ came out well ahead of the weekend’s other top draw, ‘Pet Sematary’. Paramount Pictures’ remake of the original 1989 Stephen King adaptation opened in a distant second with $25 million. It’s a solid start for ‘Pet Sematary’, though far from the haul that the last big-screen adaptation of King’s conjured up: ‘It’ opened with $123.4 million in 2017. Last week’s top film, ‘Dumbo’, slid steeply in its second week. Landing in third, the Disney live-action remake dropped 60 per cent with $18.2 million. ‘Shazam!’ stars Asher Angel as Billy Batson, a teenage foster kid who transforms into an adult superhero (played by Zachary Levi). But expectations grew based on reviews (91 per cent fresh on Rotten Tomatoes) and audience reaction (an “A” Cinemascore). The PG-13-rated film attracted an especially young crowd” 45 per cent were under 25. The result further validated DC’s pivot following the disappointments of Zack Snyder’s ‘Batman v Superman’ and David Ayer’s ‘Suicide Squad’. Warner Bros has since steered its comic book adaptations in a different direction, leaning more on stand-alone entries less predicated on the overall “universe” and more fluctuating in tone. Following ‘Wonder Woman’ and ‘Aquaman’, ‘Shazam!’ makes it three in a row for DC superhero standalones. Earlier in the week, Warner Bros. also teased the DC release ‘Joker’, with Joaquin Phoenix, at CinemaCon. An even smaller-budgeted origin story with a similarly unique, albeit much darker, tone” it was one of the most talked-about movies at the Las Vegas event. 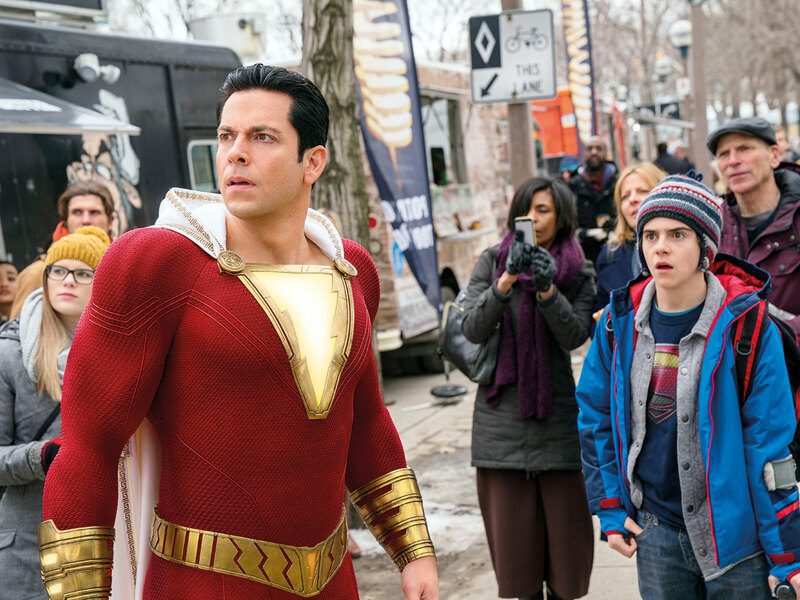 Overseas, ‘Shazam!’ grossed $102 million in 79 markets, including $30.9 million in China.